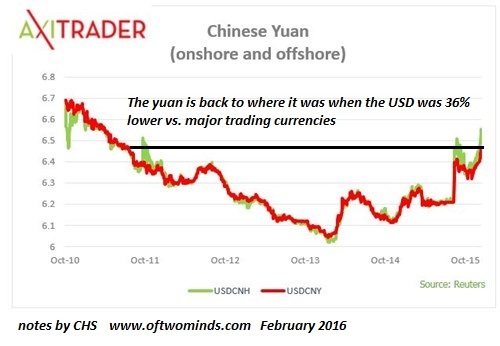 Interestingly, this is about the same level the yuan reached in 2011, when the USD struck its multi-year low. 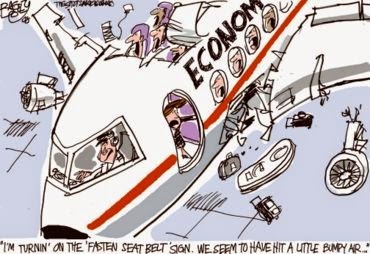 Since 2011, the USD has gained (depending on which index or weighting you choose) between 25% and 35%. 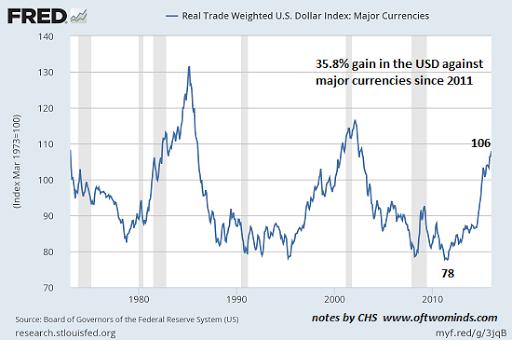 I think the chart above (trade-weighted USD against major currencies) is more accurate than the conventional DXY index.